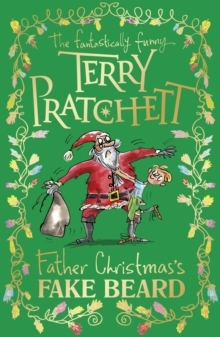 A collection of wonderful Christmas stories from the fantastically funny Terry Pratchett. With incredible illustrations from Mark Beech, it's the perfect stocking filler! Have you ever wanted Christmas to be different?Turkey and carols, presents and crackers - they all start to feel a bit . . . samey. How about a huge exploding mince pie, a pet abominable snowman, or a very helpful partridge in a pear tree? What if Father Christmas went to work at a zoo, or caused chaos in a toy store or, was even, arrested for burglary! ?Dive into the fantastically funny world of Terry Pratchett, for a festive treat like no other.